A new Monmouth University poll puts Rep. Conor Lamb — who's served for just three months — 13 points ahead of three-term Rep. Keith Rothfus in Pennsylvania's 17th district. 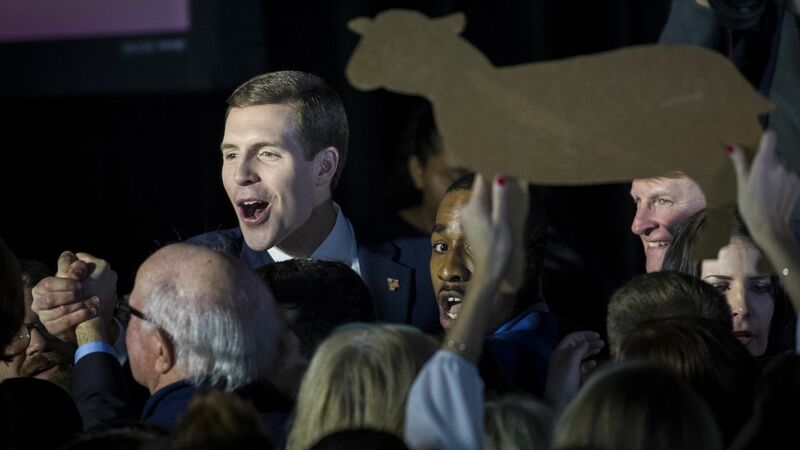 The big picture: "The combination of dramatically better district lines for Democrats, the candidate resume contrast and an anti-Trump national mood give Lamb the clear advantage," writes Cook's Dave Wasserman. Cook Political Report shifted the race from "toss-up" to "lean Democratic." Why it matters: This polling is the latest example that the new congressional map could help Democrats pick up as many as 11 seats in Pennsylvania, which is crucial to taking back the House. Wasserman also notes Rothfus is only the second GOP incumbent in the "lean Democratic" column, with Barbara Comstock of Virginia. Strategists often refer to Lamb's victory in the Pennsylvania 18 special election as a new playbook for Democratic candidates — this Monmouth poll backs up much of their thinking. Go deeper: Open seats are more likely to flip than those with an incumbent.